I'll be back tomorrow night with our monthly My Pink Stamper Pink-a-licious Blog Hop and a My Pink Stamper Stamp Set give-a-way.....see you at 8PM Central time! Looking forward to what you will share! 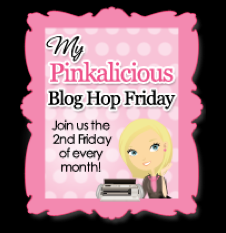 Maria, I have a blog award for you - stop by my blog to pick it up!